How the Blizzard of 1888 wreaked havoc, killed hundreds, and forced American cities into the modern age. The weather leading up to the March storm had been unseasonably warm, leading most people to believe an early spring was on the way. And even when the early storm reports came in, many underestimated its size, leaving them inadequately prepared for a storm so devastating that we’re still feeling its after-effects today. 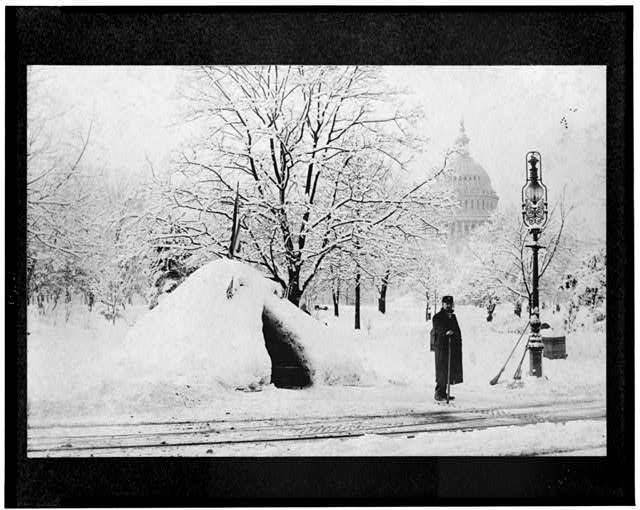 In the early morning of March 12, 1888, heavy rains turned into snowfall that didn’t let up until March 14, ultimately dropping as much as 50 inches of snow across the East Coast. The storm stretched from Maryland all the way up to Maine and parts of Canada, paralyzing the Northeast for up to a week. The highest reported snowfall was 58 inches, in Saratoga Springs, N.Y. Meanwhile, in New York City, gusts of wind clocked in at 45 miles per hour, whipping up snowdrifts that piled up higher than three-story buildings. On average, the drifts were 30 to 40 feet high, but the tallest drift in New York City reached up to 52 feet. More than 400 deaths were reported due to the storm, with 200 of those deaths reported in New York alone. At least 100 of these deaths were those of seamen whose ships were either wrecked or stranded due to the storm. On land, the roads were impassable, so fire trucks were unable to respond to emergency situations in the days after the storm, resulting in several deaths. Telegraph poles were also destroyed due to the snow, so communication in the days after the storm was difficult. 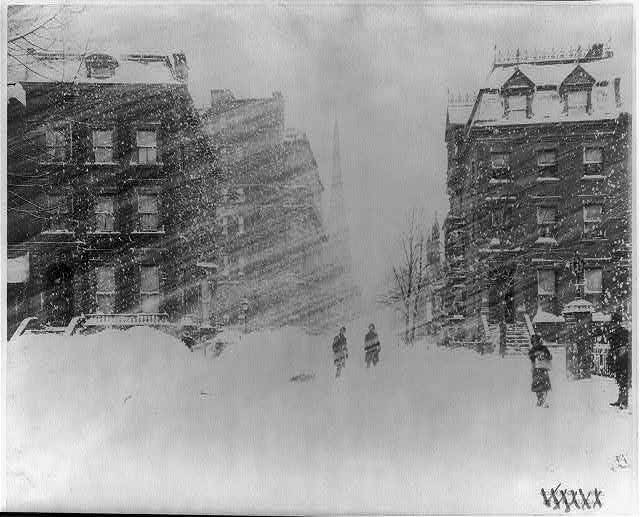 But the true effects of the Blizzard of 1888 lasted far longer than just a few days. In New York City, the storm caused severe infrastructural damage as well, trapping people indoors for days, often without adequate food, fuel, and other supplies. All in all, the blizzard caused a reported $25 million worth of damage throughout the city (the equivalent of $680 million today). Parts of Brooklyn were damaged due to flooding, as the low-lying areas were susceptible to overflow from the vast amounts of melting snow, which was dumped into the Atlantic Ocean. The New York City Stock Exchange closed for two days, resulting in millions of dollars of lost trades, and many other factories, businesses, and stores were forced to close their doors, resulting in lost transactions and lost pay for the employees who could not show up to work. Despite the treacherous conditions, workers were still docked pay if they did not show up to their jobs. However, the city did employ many men and boys to shovel snow and help dig out the city. 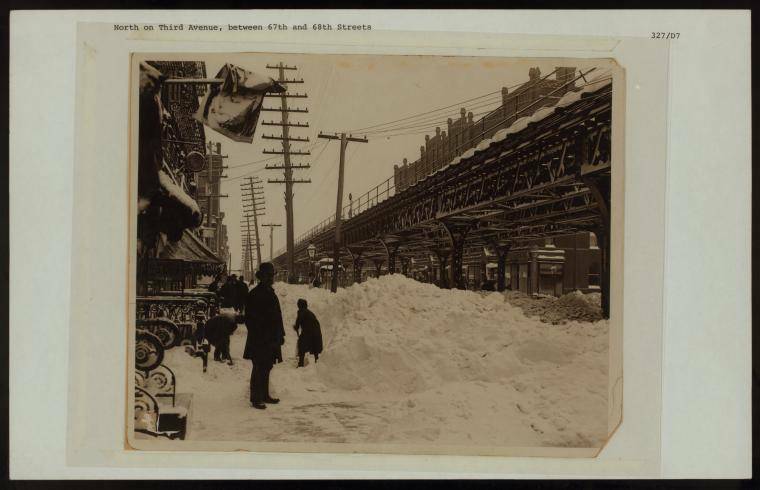 Digging New York City out from underneath the enormous snow drifts was a serious matter, as many people were stranded inside their homes with little food or supplies. At the same time, transportation was difficult because the above-ground transit lines had been covered in snow drifts and also had to be dug out. This took more than a week to clear, and in the meantime no rail transport was available anywhere in the city. 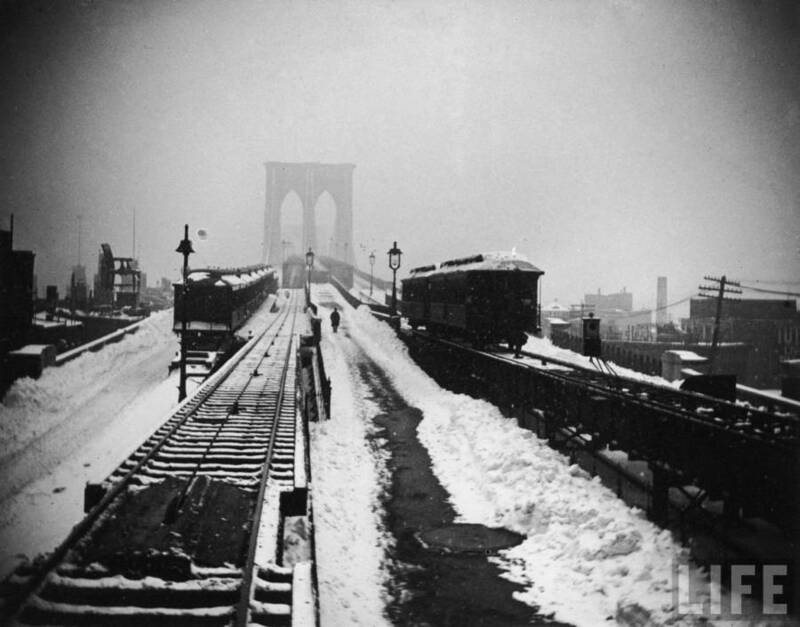 Thus the Blizzard of 1888 made it clear that cities like New York needed underground subway systems, and helped to force East Coast cities into the modern age. 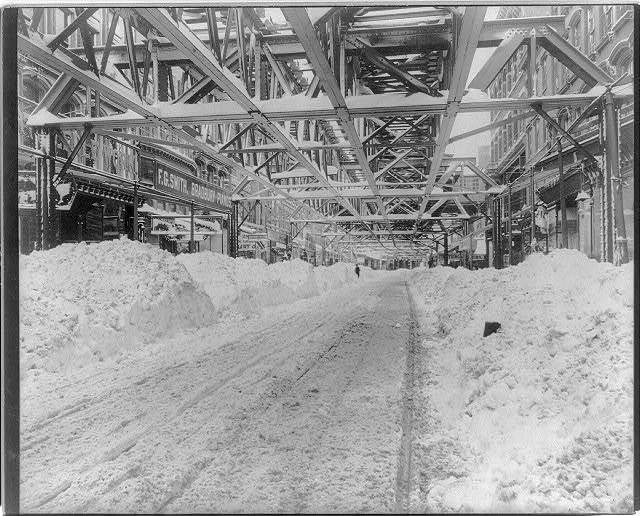 City planners began work on designs for an underground subway system shortly after the blizzard hit. In 1901, America’s first underground train system opened in Boston. New York City followed suit and opened its own subway in 1904. Meanwhile, major cities’ telegraph and telephone lines were also moved underground to prevent disruptions from future storms. Another comparable snowstorm wouldn’t come to the region for another 90 years, when the Blizzard of 1978 raged for 32 hours, causing flooding and property damage to thousands of homes. However, thanks to the modern advancements inspired by the Blizzard of 1888 — like underground subway, rail, and telephone lines — the impact of the 1978 storm was fare less severe than that of the storm that had devastated the area 90 years before.